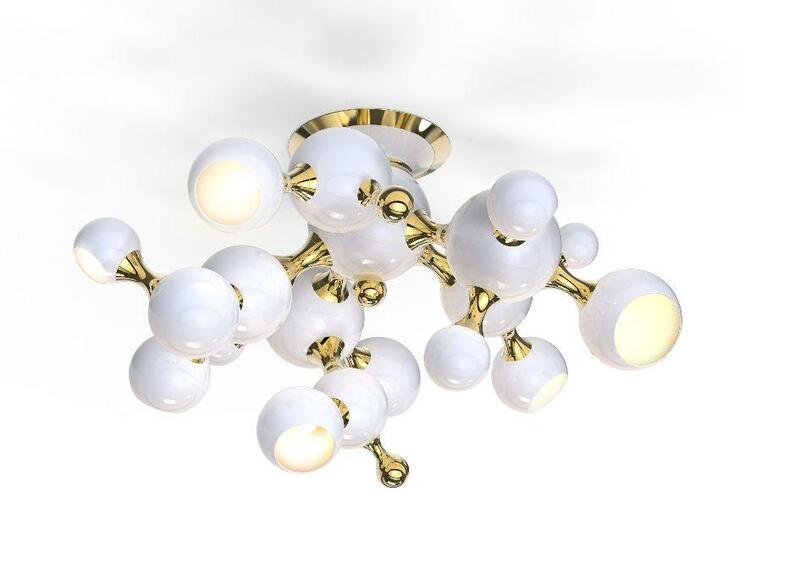 A contemporary descendant of retro sphere lighting, Atomic suspension lamp is a spot-on interpretation of the atomic age design. A set of glossy black and gold plated round shades, aligned by an asymmetric composition to enhance non-conventional molecular forms. As each shade evokes a petrifying effect, it's ideal to be placed in a modern living room to surprise your guests, as well as in a modern lobby. A breathtaking design inspired in 50's legacy.